The Battle of Beaufort (also known as the Battle of Port Royal Island) was a battle in the American Revolutionary War that took place on February 3, 1779 near Beaufort, South Carolina. The British commander of forces at Savannah, Georgia, General Augustine Prevost, sent 200 British regulars to seize Port Royal Island at the mouth of the Broad River in South Carolina. American General Benjamin Lincoln, the American commander in the south, sent General William Moultrie from Purrysburg, South Carolina with a mixed force composed mainly of militia, but with a few Continental Army men, to meet the British advance. The battle was largely inconclusive, but the British withdrew first, eventually returning to Savannah. For the 6 months following the British victory at Savannah in late 1778, the war in the south became a series of probing actions by both sides. The first of these battles began when the British commander, Gen. Augustine Prevost, sent 200 British Regulars, under the command of Maj. ?? Gardiner, to seize Port Royal Island at the mouth of the Broad River in South Carolina. Gen. Benjamin Lincoln, the American commander in the south, sent Gen. William Moultrie, along with 300 militia, to stop the British advance. 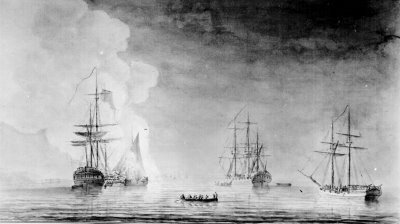 Prevost took advantage of hissuperior naval power and ordered a turning movement against the town of Beaufort. Lincoln was aware of this British threat and ordered Moultrie to oppose it. On February 3, the British approached and tried to force the Americans to leave Beaufort, Moultrie was waiting with 300 militia, 20 Continentals, and 3 cannon. 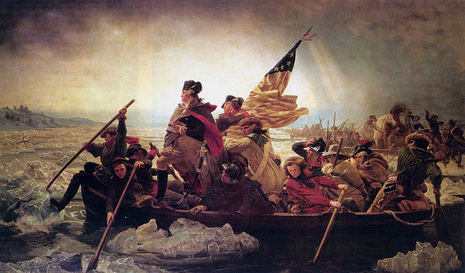 The Americans repulsed their attack in less than an hour. The Americans had to fight in the open while the British had some cover from the woods. The Americans knocked out one of the British guns and erased the British advantage early in the battle. The Americans had run out of ammunition and Moultrie ordered a retreat. At the same time, he learned that the British were also retreating. He then countermanded his retreat order and told his mounted troops to advance upon the retreating British. The British were able to escape by boat to Savannah and Moultrie moved his force south to rejoin Lincoln.